Our children’s behavior is always reflective of their comfort level. Unkind, controlling and even aggressive impulses are eased when they are accepted and, ideally, understood, rather than shamed or punished. It’s very common for older siblings to assert dominance as a way of countering the loss of control they feel around the existence of their younger sibling. They need our help with these impulses when they become unsafe or destructive, but the behavior makes sense. When children routinely sense our impatience, annoyance and anger with them, they can’t help but feel ashamed and rejected. We’ve likely all heard some form of the expression “children need us most when they are at their worst.” Nothing could be truer. 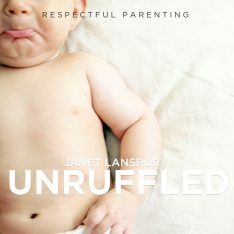 Children flourish when they feel accepted by their parents, warts and all. Distance between us is frightening for them, and their discomfort might lead to more negative behavior. Perhaps worse, the feelings can go underground and affect self-worth. Our over-involvement and micromanagement are unproductive, because they tend to fan flames of conflict and negative behavior. And besides being generally futile, our investment in fixing play or sibling relationships can easily wear us out, making us even more impatient and on edge, which in turn can create more erratic behavior and limit pushing, continuing the cycle. Our judgments are sensed by our children and can cause them to self-identify as bad guys or victims. Like all labels, these can be self-fulfilling prophecies and are, at best, restricting and inhibiting for each of the children involved. From the older sibling’s perspective, it’s hard to have positive feelings for someone who’s not only forced themselves into your life and made you share your beloved parents, but also unwittingly caused you to behave in a manner that has turned you into the “bad guy” in their eyes. Our children have such a deep need for our acceptance that our judgments can be almost suffocating, making it much harder for them to feel good about themselves, which is the oxygen they need to establish a loving and generous relationship with each other. 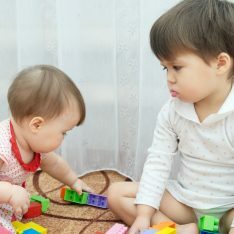 One of the many positives of siblings is that both children get an abundance of practice developing adaptive social skills, like conflict resolution, self-regulation, problem solving, and role-play. As with all learning, young children are the experts in the room. Yes, they need our safe boundaries and intervention when their impulses overwhelm them (separate, age-appropriate play spaces can be a helpful preventative boundary, because they allow children opportunities to choose to play on their own). But generally, kids learn best when we give them as much free rein as possible. If we come from a place of basic trust and empathy, we can intervene selectively, calmly, and neutrally, with openness to each child’s perspective and feelings. Trust sees children in their most positive light and gives them the best chance of succeeding. Most of us will perform best at any job or role when we are entrusted with it, rather than over-managed, doubted or nit-picked. Children are no different. Trust places ownership of sibling relationships where it belongs – strictly between the children involved. In truth, their relationships will always be their own, so we may as well let go. We will never have the power to dictate how they feel about each other. Trust and empathy heal wounds, repair mistakes, bring us closer. Children thrive when we believe in their basic goodness. 2. How is it ok to be ok with younger one being hurt a lot? Younger one also our responsibility and the wounds have not been minor, they mean what they do. As in, if we step back, younger one is clobbered. A lot. 3. We separate a lot and regularly and if its dinner prep time or other things we don’t have the time to stop and see and listen to older child in her space. This is new information ‘don’t immediately separate stay there to accept feelings’. Also the hovering energy. Lol. We have been doing this. It reminds me of one of the first things I learned of RIE, in picking up our newborn with confident hands, not nervous energy. It also reminds me of what we needed to do when training our little dog. We need to implement that calm by visualising the non violent environment instead of visualising aggression. This is tricky since older child starts playing rough and we can usually see the next step and intervene before it occurs, thereby kind of having to visualise the aggressive action… because we need to predict it. Hmmm ok.
A few times recently we have come to the conclusion that no matter how hard we try we can’t seem to do the things RIE asks of us, we keep failing at not being upset, not setting aside our feelings and seeing toddlers feelings. We are doing our absolute best but it feels like suppressing our emotions about the lack of harmony. Maybe I need to do another consult to help us get back to basics. We had a breakthrough last weekend with beautiful calm and fun play and no hurting but then it all went backwards again. There are many restrictions in our home when the children are not in their yes space. Maybe we need to back off from all of them and just focus on this. Allow toy throwing, screaming, banging glass doors, throwing food, dropping food on ground, etc… if something breaks so be it. Feels like maybe we are asking too much and this could be confusing and overloading. Janet, I don’t comment often, but I love every one of your posts. My children are 12 and 14 now. I did not have the benefit of your advice and the RIE philosophy when I was raising them, but fortunately, my children taught me. I fretted and controlled and over-managed and thought I was the expert, but they patiently taught me about trust, respect, boundaries, and unconditional love. Then one day, two years ago, I found everything they taught me and more in your blog. I’m so happy to share your wisdom with the students of my birth and postpartum classes. Please keep sharing! Hi Allison! Thank you so much for sharing with me! I can’t even express how gratifying your note is and it’s perfectly timed for me. I needed a lift today. Thanks again! Sometime maybe you could write about trusting teenagers. . . my beautiful children having begun leaving the nest — that is, they are beginning to orient toward their peers and have adventures on their own, no more playing in baby-gated safe spaces! I trust them, but worry has been creeping up on me, too. I want to allow them their privacy and age-appropriate freedoms, and I want to stay connected, too. Hi Janet! Really great article. My daughter is 5 years old now and one of the biggest mistakes I made early on was to be too overprotective (maybe because she was my first). In any case, your article just confirms that you need to loosen the rope and let them grow up. They will sort themselves out. I’m sorry you were having a hard day the other day. It must be so tough to communicate this incredible message to people all over the world, from multiple cultures and countries. You ARE ABSOLUTELY doing a FANTASTIC job! PLEASE don’t stop. We don’t know where we’d be without you! I imagine you probably hear so much negative from parents since parents who implement RIE easily are rare to come to you… Whereas ones needing the extra help are likely the majority. I wanted to update as this post has helped so much. We are truly seeing our girls and our older one has responded to this. My focus has been on helping her to feel good about herself so that she can build her sense of worth that will support her in establishing a great relationship with her little sister – so thank you! “Mummy has things in her ears”. I asked if I should draw a big space around her and mummy and she agreed. So i did a big circle that encapsulated mummy and her. I hadn’t noticed that I had also drawn the circle around her little sister who had been identified earlier (BTW these are scribbly circles she had drawn earlier, with dots for eyes and lines for legs… to our amazement, she has recently drawn her people like this). So I drew another circle that took her little sister outside of the space and she was happy with that. I’ve been following your blog for several months now and really appreciate your advice. I have an 18 month old daughter and although she doesn’t have any siblings (yet! ), she has a 5-month old cousin. 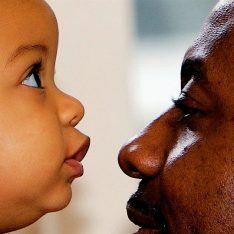 One challenge we’re having is how to communicate with our daughter the importance of being gentle with her baby cousin. Although she knows the difference between gentle and rough play of course, she is very exuberant and often her “gentle pats” become more like hits. When this happens I calmly say “You’re excited and want to play but you can’t hit” and then I move her away from the baby. This response doesn’t seem to be stopping the behavior, and usually just elicits a big mischievous smile and more attempts at hitting. Am I making a mistake in my response? Any advice would be greatly appreciated! My daughter D and nanny kid NK are both almost 2 years old. In the last few months, D has become very aggressive with NK. It all seems to be playing but NK hollers out and doesn’t seem to enjoy it, liking his space to himself. Sometimes the play is actually hitting NK with toys and I step in immediately. General chasing and wrestling I try to stay out of and let them figure it out. 1. NK has a right to not engage in this type of play if he doesn’t want to. 3. It’s gotten to a point where it seems they are both asking for my attention. NK May holler out without having been touched and D may do something and immediately look at me.